Joining us for assembly today was a special guest. Olympian and World Champion Shanaze Reade came to Clare Mount to support the cycling programme, which runs here. 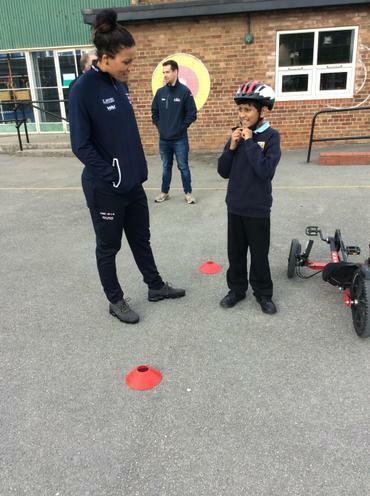 The cycling programme (which includes our Learn to Ride scheme and Bikeability Level 1 and 2), developed further in the past year by Mr Keefe and Mr Cutts, now includes a partnership with British Cycling and HSBC called ‘Go-Ride-Go’. 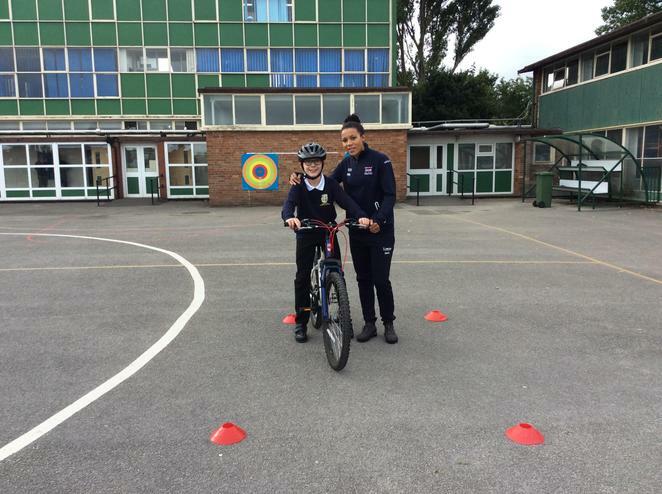 ‘Go-Ride-Go’ gives young people the confidence to ride a bike and take this confidence into other areas of school such as Maths and English. Shanaze was fantastic and very inspirational with the young people here and at Orrets Meadow Primary School, handing out certificates to those involved. We wish Shanaze the best of luck in her preparations for Tokyo 2020. 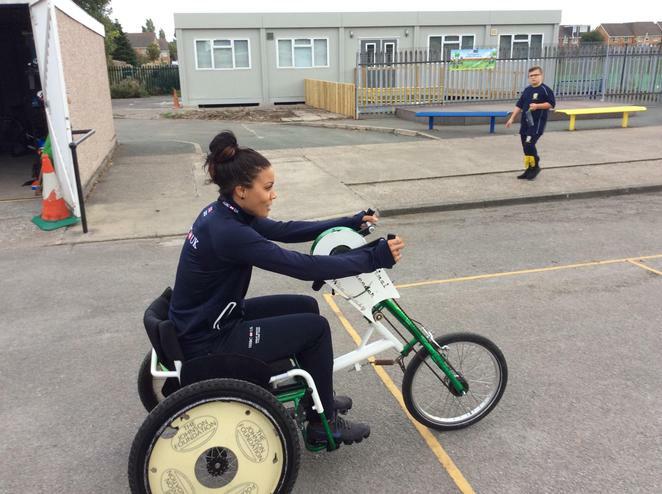 Schools across the UK can access a case study of ‘Go-Ride-Go’ here.